Every user interaction will be captured along with its outcome, duration and metadata. Expose the entire user journey to understand where and why your users experience issues. Be aware of how many users face availability issues over how many sessions or user interactions. 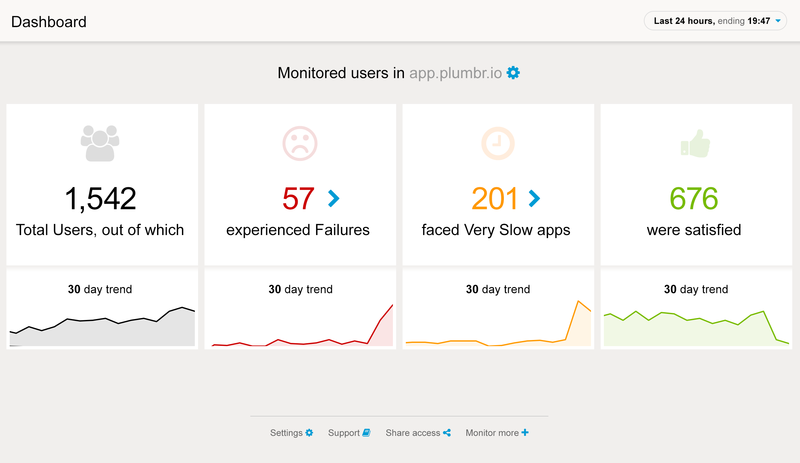 Understand how much time poorly performing applications are really wasting for your users. Understand the root cause by getting exposure to the environment the error occurred along with the stack trace captured. 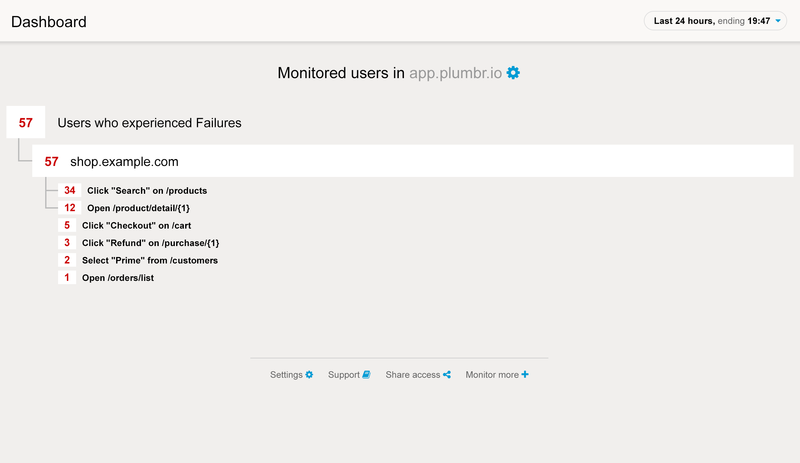 Integrate the real user monitoring with application monitoring to build the distributed trace throughout all the back-end nodes to map bottlenecks or errors in back-end to real user experience.